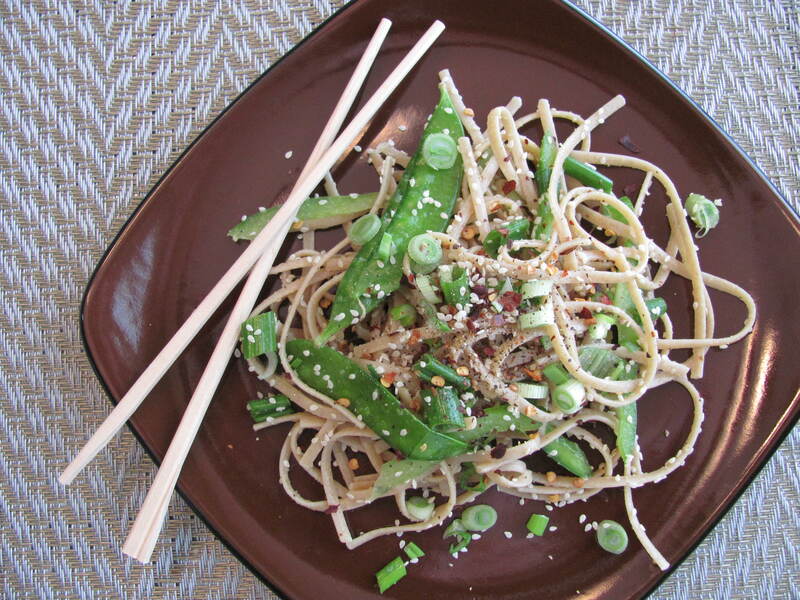 A delicious cold pasta with raw veggies – perfect for St. Patrick’s Day! Well, I mean, the fact that it’s all green veggies and definitely not because it’s an Asian-style dish for an Irish holiday. But, it tastes good and it’s a great way to eat raw veggies! I drizzled a little additional sesame oil onto my noodles and a little extra dash of garlic powder too. Cook pasta as per directions on package. Hint: I usually break the long linguine noodles in half to make “more” noodles and they are much easier to pick up with chop sticks or a fork when they are shorter. Drain and rinse pasta in cold water until it has cooled off significantly, then drain well again. Cut veggies that need to be cut, add all ingredients to a large mixing bowl and toss to mix thoroughly. Serve!! Makes about 5-6 servings.